Singapore has become a hotspot for importing and exporting goods due to speed and ease of access. Singapore is currently in the top 20 busiest countries for importing and exporting. 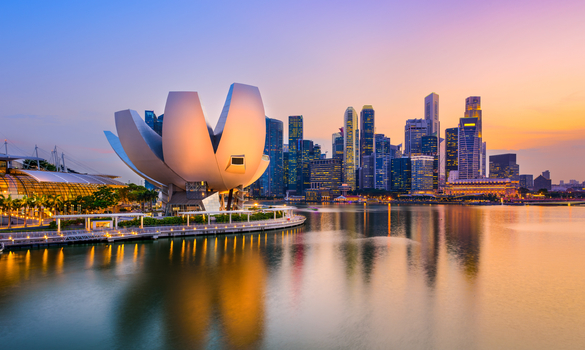 Due to the cost of living in Singapore, the country has become a strong competitor at the global stage. As a business manager, you may be interested in importing goods from Singapore. However, you have to complete some requirements before you can start importing. These are the steps to importing from Singapore. The first step you need to complete to import from Singapore is checking for regulations and prohibited goods. Controlled goods require other certificates and licenses to ship them. Moreover, the process of starting a company in Singapore can be challenging for certain industries. The most commonly controlled goods are chemicals, pesticides, animals, food products, diamonds, irradiating machines, rubber, and wood. Even if your business doesn’t handle these goods, you need to check your country’s importing laws and regulations. To ease operations later on, confirm that the good you’re importing is legal in your country. Also obtain the proper certificates and licences withing your country before moving to the next step. Violating international shipping laws can lead to expensive fines or legal trouble. Check for regulations before importing from Singapore. The second step to importing from Singapore is obtaining a Unique Entity Number (UEN). A UEN is necessary for importing and exporting businesses, it will allow you to interact with government agencies. Take note that you will not be issued a UEN if you only have a one off business interaction with a government agency. This means that if you only plan to import once from Singapore, you may be denied a UEN. Consider your business operation needs before applying. If you plan to conduct repeat business, the next step is applying at the right organization. Most foreign companies will receive their UEN from the Accounting and Corporate Regulatory Authority (ACRA). Specialized businesses such as charities, military units, and healthcare institutions will have to apply at their respective Ministries. Once you have obtained your UEN, you will have completed the most important step to importing. Your next step to importing from Singapore is applying for an Inter-Bank GIRO. Your Inter-Bank GIRO will be used to make direct payments to Singapore Customs for duties, taxes, fees, and penalties. For the application you will have to fill in your name, UEN, Bank record, Bank name/branch, the name of contact if applicable, your phone number, and the bank account number. Your application can take up to 4 weeks to be approved, and may be rejected if you have insufficient funds in your account. You must also fill out forms for Authorization of User Inventory Control System, Registration for Claimant, and Security Application. Keep in mind that if you use a Declaring Agent, you will have to fill out that form as well. This step is critical for ensuring you can may payments for your imported goods. The second to last step for importing from Singapore is applying for a customs import permit. When completing this step, consider whether it would be easier for your operations to declare the goods yourself or use a declaring agent. If you have a declaring agent, they will complete this step for you. If you do not have an agent, you must register as a declaring agent and apply for a TradeNet user ID. Permit applications usually cost $2.88. Consider that declaring agents may charge a convenience fee for their services. If you plan on doing importing often, these convenience charges will add up over time. However, declaring agents are useful if you are unfamiliar with the process or strapped for time. This is a critical step you must complete every time you import from Singapore. The final step you must complete is to prepare your documents for cargo clearance. After your permit clears, you will be required to present the proper documents before your goods are shipped. When conducting your operations, consider whether you want your good imported as containerized or conventional cargo. Based on which option you use for importing, you will have to fulfill additional conditions and produce documents of secure business information. Consider the price of shipping and weigh that against the time it will take to prepare these documents. Depending on the nature of your business, you may be required to use containerized cargo imports. Importing from Singapore is a fast and easy process. However, you must complete the requisite steps of checking regulations, obtaining UEN, applying for Inter Bank GIRO, getting customs import permits, and preparing your cargo clearance documents. Make sure to complete these steps and you will be ready to import from Singapore.